Modern Korean Cinema: Review: V.I.P. Is D.O.A. Following his period epic The Tiger, director Park Hoon-jung scales down his ambitions for the North Korea-themed investigative thriller V.I.P., a brooding procedural that lumbers its way through a serial killer tale mired in political intrigue. Much like his hit gangland opus New World, several (male) actors share top billing but each struggle in cliche-riddled roles. 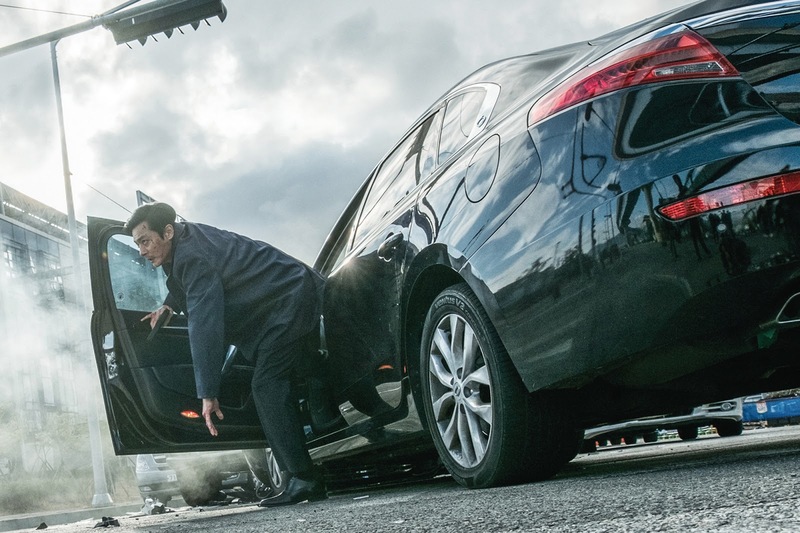 A series of brutal murders takes place in Korea and suspicions point to Gwang-il (Lee Jong-suk), the son of a high ranking North Korean official who recently defected to the South. Gruff Detective Yi-do (Kim Myung-min) is chomping at the bit to take him down but for reasons unknown the National Intelligence Service is trying to keep him out of the police’s hands. NIS agent Jae-hyuk (Jang Dong-gun) struggles with his directives to keep him out from jail, which are motivated by geopolitical circumstances involving several national intelligence agencies, including an FBI agent. Meanwhile, North Korean officer Dae-bum (Park Hee-soon), who unsuccessfully tried to arrest Gwang-il for similar crimes, secretly arrives in the South to finish the job he started. With his latest, Park goes for hard-boiled noir, as he swaps out the vivacity of his gangland opus New World for a darker tone that is shorn of any levity. 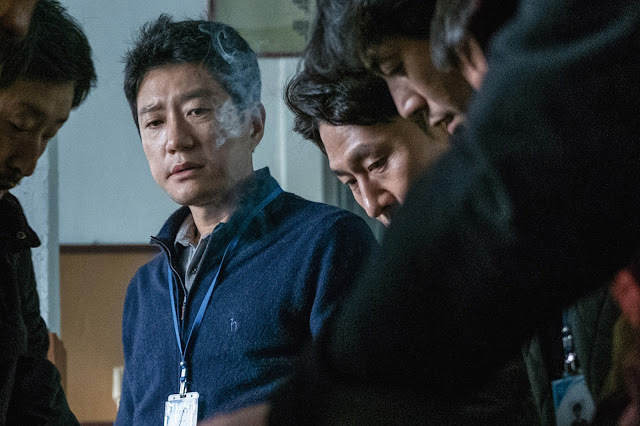 Seeing as his earlier film’s strongest asset was a larger-than-life Hwang Jung-min breezily swaggering about the screen, the result here, to put it mildly, is dour and unwelcoming. Among the problems with the serious tone are the utterly hackneyed character tropes that director Park festoons his characters with. These include Kim Myung-min’s detective who struts about with a cigarette perpetually dangling from his sneering lips and whose every breath spews out a tired bouquet of pejoratives and smoke. 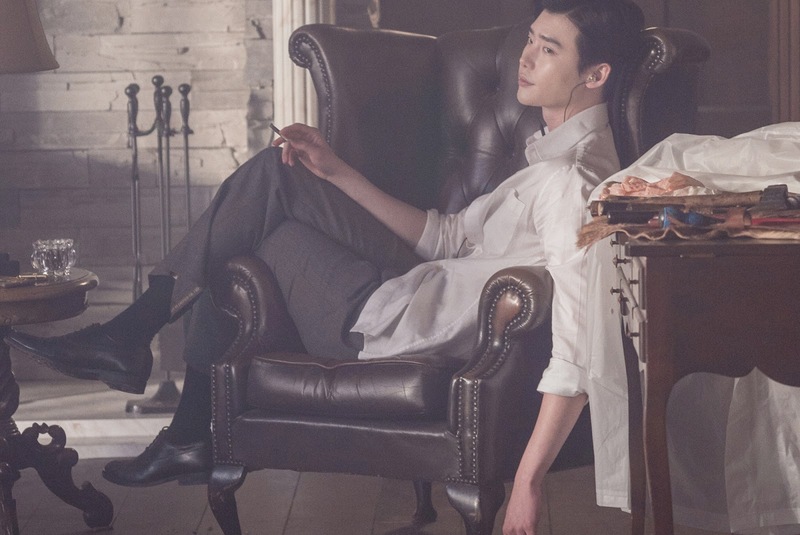 Another is Lee Jong-suk’s antagonist, a retread of Park Si-hoo’s Confession of Murder killer to begin with, who is painted as a soft-mannered, grinning sophisticate that reads Russian literature while listening to classical music between his bouts of bloodlust. This summer, thanks to Thomas Kretschmann in A Taxi Driver, we were lucky to see a rare occurrence of a western actor gelling well with a local Asian production, but with V.I.P., foreign casting in a local film hits its usual its awkward mark. Swedish actor Peter Stormare, a Hollywood stalwart who has impressed in side roles all the way from Fargo to this year’s American Gods on TV, is woefully miscast as the FBI agent. Leaving aside that his American operative sounds more like a KGB member, the dialogue he his fed is terribly stilted. This problem amplifies when the Korean characters, namely those played by Jang and Lee start speaking English, which they do often and badly. Jang was last seen in the lamentable No Tears for the Dead and alas his role here strongly echoes that one. In fact, the only person capable of pulling their weight in the main cast is Park Hee-soon. Granted he’s also played the same role before, in 2013’s The Suspect, but he at least has that modicum of gravitas which he used so well in the opening scene of Kim Jee-woon’s The Age of Shadows last year. The most jarring moment in V.I.P. comes early on, when we are made to witness Gwang-il’s cruelty head-on. A North Korean girl, naked and with her brutally slaughtered family lying around her, is toyed with by his guards until Gwang-il himself shows us what really lurks behind his placid exterior. The scene is designed to shock, and shock it does, but more for its horrific objectification and absolute destruction of a woman’s body. This, in a film which couldn’t even be bothered to give more than half a line to a female character during the rest of its running time. Behind the scenes, director Park does little to elevate his uninspired and convoluted script but technical specs are solid, if unmemorable, all around. On a side note, this is the third production of Warner Bros Korea, after The Age of Shadows and A Single Rider. Rubbish. A fantastic movie, with plenty of plot twists and uncomfortable violence. More along the lines of The Yellow Sea with its fatalistic outlook and bleak consequences. This type of film the Korean cinema makes heads and shoulders above anyone else at the moment and the pomposity of the review does no justice not only to the film but to the credibility of the reviewer. Outstanding movie which is right up there along with the chaser. Highly recommended and 5 stars from me. cliche but surprisingly i liked it. hats off! the 4 main characters had their fair share of highlights. Lee Jongsuk was impressive in his first villian role.